← The ICC in Palestine: Threat or Promise? Not long ago, I suggested that the work of the International Criminal Court (ICC) in Libya might not be finished. My belief was that the Court would go after alleged international criminals residing outside Libya. They still might. But if the Libyan government has its way, the Court will actually prosecute militias currently causing violent ruckus and disarray within the country. It is no secret that Libya is reaching a dire state. While the situation in the country has been overshadowed by events in Gaza and Eastern Ukraine, stability and order in Libya are being severely threatened. To those who have followed events in the country, that won’t come as much of a surprise. As report after report has shown, the country has been thrown into a political and security vacuum following the demise of the Gaddafi regime. Amidst intensifying violence, the government has decided to seek external help. Last week, Tripoli asked the United Nations Security Council to consider sending in a stabilization team. In truth, this should have happened in October 2011 when the regime of Muammar Gaddafi collapsed. But neither the Security Council (and especially NATO member states) nor the Libyan government had any appetite for an external force being deployed in-country. 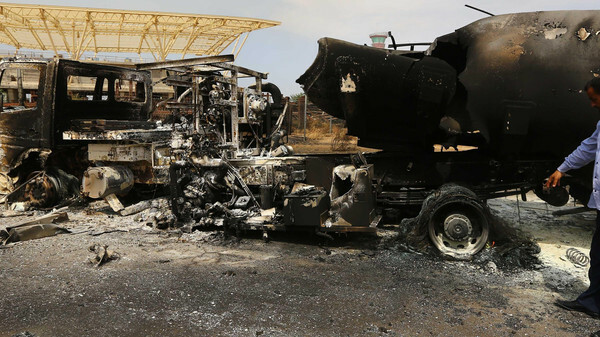 The current situation, however, has left Tripoli desperate. With its back against the wall, the government has dramatically altered its political calculus. Libya is looking into the possibility of allowing the International Criminal Court (ICC) to prosecute those responsible for the recent violence in Tripoli and elsewhere, notably the attacks on Tripoli International Airport. The Minister of Justice, Salah Marghani, discussed the idea with the International Criminal Court’s chief prosecutor, Fatou Bensouda, in The Hague yesterday, according to the Prime Minister’s office. The move represents an abrupt about turn. Previously the Libya authorities had rejected the ICC’s demands to hand over Saif Al-Islam Qaddafi and Abdullah Senoussi, both of whom have been indicted by the ICC, saying they were capable of trying them in Libya. The ICC cannot initiate prosecutions by itself. But it can take them on if they have been referred to it by the UN Security Coucil (as was the case with Saif Al-Islam and Senoussi) or if the government of a country where the incidents took place asks it to do so because it is incapable of doing so itself. The Ministry of Justice had warned earlier this week that it was in consultation with international and national legal bodies about prosecuting those military groups which had refused its order to immediately stop the fighting and the launching of missile attacks. “The situation is serious and all parties must realise that no one is above the law. If not today, they will be prosecuted in the future,” Cabinet Secretary Ahmed Lamin told the Libya Herald. “They are damaging facilities owned by all Libyans” he said. The decision to possibly transfer authority for prosecution to the ICC appears to be directed at both Misratan and Zintani forces, their commanders and those behind them. Oh, how things change! The government has never given any impression of being keen to have the Court continue its work within the country. Just weeks ago, the notion that the government would ask the ICC to prosecute militia members would have been laughable – despite the fact that there has always been a good case to be made for an ICC investigation and prosecution into alleged rebel / militia crimes, dating back to the Libyan civil war. But virtually no party with any political clout or capacity to ensure such an investigation would occur ever wielded it. There is some confusion as to whether the ICC can still intervene in Libya, three-and-a-half years after the Security Council referred the Libyan uprising and civil war to the Court. The answer is yes. As Kevin Jon Heller points out, the ICC’s forward jurisdiction in Libya is open-ended. 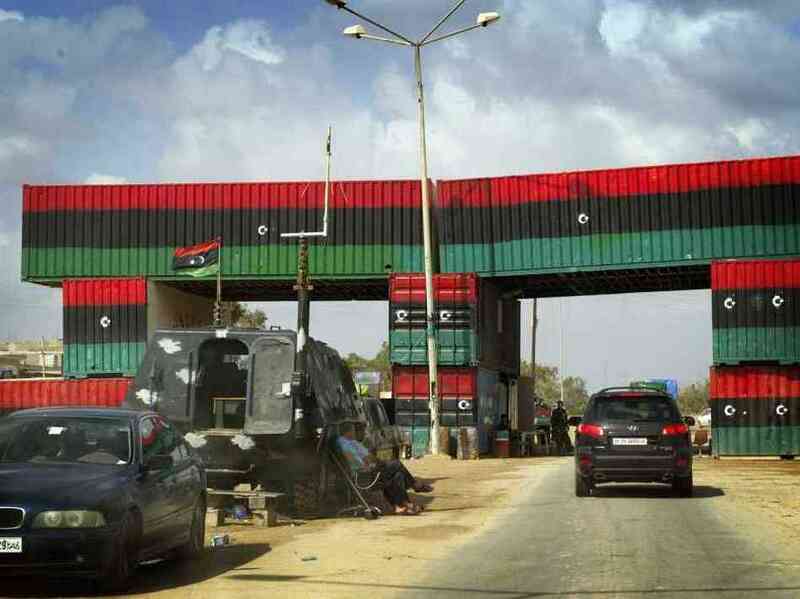 But will the ICC do the Libyan government’s bidding? Notably, Libya wants the ICC to be very selective in who it targets. The government wants the ICC to target its adversaries which, at the moment, are those forces responsible for violence at Tripoli airport. 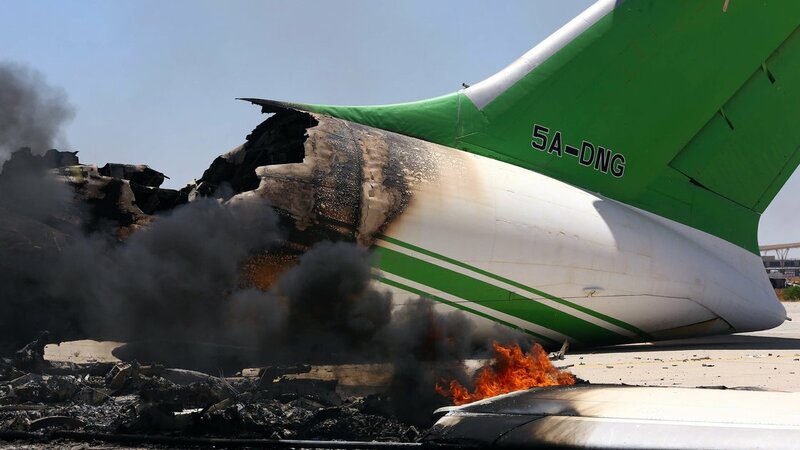 According to some estimates, clashes between the Zintani militia (the same one that has Saif al-Islam Gaddafi in its ‘custody’) and the Misratan militia have resulted in the destruction of 90 percent of the airport’s aircrafts. The fighting also prompted the UN to pull its staff out of the country. But it is hard to see how the Court could become involved. After all, it isn’t clear how one militia attacking another to gain control of an asset like an airport constitutes a crime against humanity. The destruction of Sufi shrines, political assassinations and illegal detention and torture of thousands of former combatants hasn’t led to an ICC investigation. The battle for Tripoli airport pales in comparison. Still, one of the those forces involved in the current fighting – the powerful and Misrata militia – is the same militia that attacked and alleged ethnically cleansed the city of Tawergha. To date, they have enjoyed blanket impunity. So if the ICC is going to get involved, it should go after those responsible for clear cases of war crimes and crimes against humanity. Tawergha would be a good – if much belated – starting point. This entry was posted in International Criminal Court (ICC), Libya, Libya and the ICC and tagged Misrata, Mohamed Abdelaziz, Tripoli Airport, Zintan. Bookmark the permalink. Mark, do you think a deal is on the cards? For instance: you agree to hand over Saif, we’ll open an investigation into the Zintani / Misrata militias? This would presumably happen behind the scenes, but I wonder if something like that could be contemplated. Needless to say, the ICC is powerless to enforce its arrest warrants but imagine how useful it could be for the government to arrest and promptly expel indictees to The Hague? As things currently stand, the government faces the prospect of jailbreaks and the like if they arrest opponents? Not so if the arrested are already gone. Nice to hear from you Maya and thanks for the comment. It’s a great question but my answer would be a pretty firm: no. I don’t think any party has explored what it would take to actually get Saif transferred (to Tripoli or to The Hague) and it shouldn’t be discounted that there aren’t many strong interests amongst the relevant parties in getting him out of Zintan. While this is my own speculation, I think that the Libyan government may be posturing and attempting to use the threat of an ICC prosecution against militias. The government does not have many forms of leverage and may be invoking ‘conversations’ with the ICC as a means to deter or reign in some of the militias. Of course, for that to work, the Zintani and Misrata militias would have to see the threat as a credible one.